I'm very pleased with the way this turned out, I've never built a cut-away MOC before and there are also a lot of features packed into the relatively small space of this model. It is the first in a series I have planned which will complete a MOCtale. It is also the first time I've tried my hand at editing, I can only get better ; ). As always please let me know what you think. Last edited by Norro on Tue Jan 30, 2007 6:03 pm, edited 1 time in total. That thing is gorgeous. I am in complete shock - I haven't seen anything that good in a while. The level of detail is amazing - from a distance, it looks almost real. It . . . it . . . wow. Just, wow. The rock formations look very natural and for the most part studless. 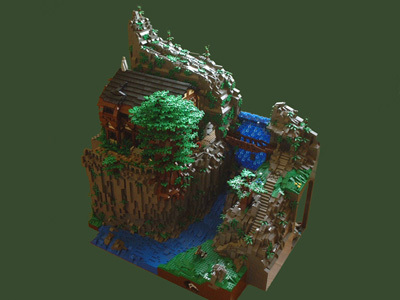 This is probably the best landscaping I've seen in a moc all year. But the landscaping is what really does it for me. "When you hear the bellow of the horn, know that you are hearing the first warning of an icestorm..."
WHOOOAAAAAAAAAA!!!! DUDE THIS IS AWSOME! I have never seen anything like this! I LOVE IT! The detail rocks and......EVERYTHING ROCKS!! Yeah, there's not much to say. there is sooo much detail packed into the MOC, and there is so much to explore! Good trades with: Chrislad77, kelderic, Strider, Unknown Knight and ZIGGY! 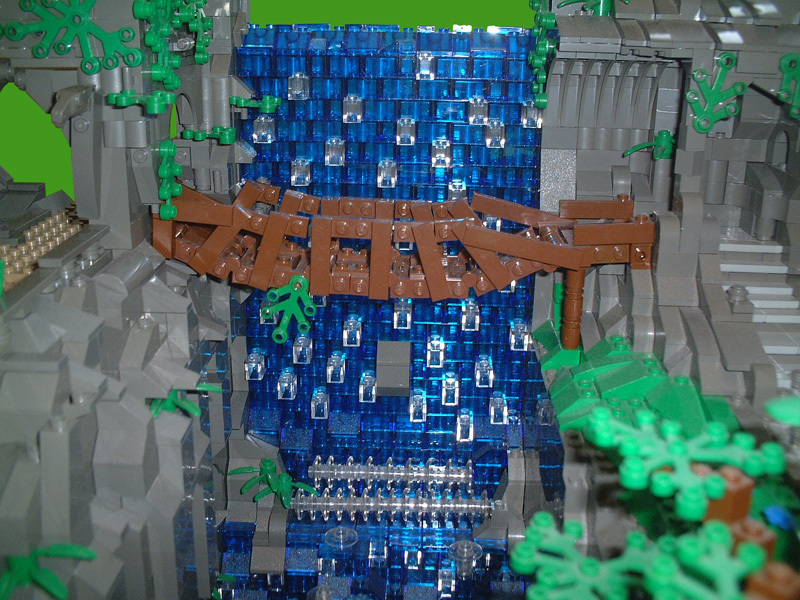 The only nitpick that I could think of is that I would have prefered a mix of blue, light blue and white pieces for the waterfall istead of transblue, but that´s just my personal preference..
Like everyone has said...that's absolutely fantastic. I love the sheer rock face with all the little cracks and grooves in it, and the very real-looking vegetation. Also, the huge scale is very impressive. Brilliant stuff. Excellent! As others have indicated, your landscaping is brilliant. I think that the verticality and sheer scope of the landscaping makes it especially impressive. 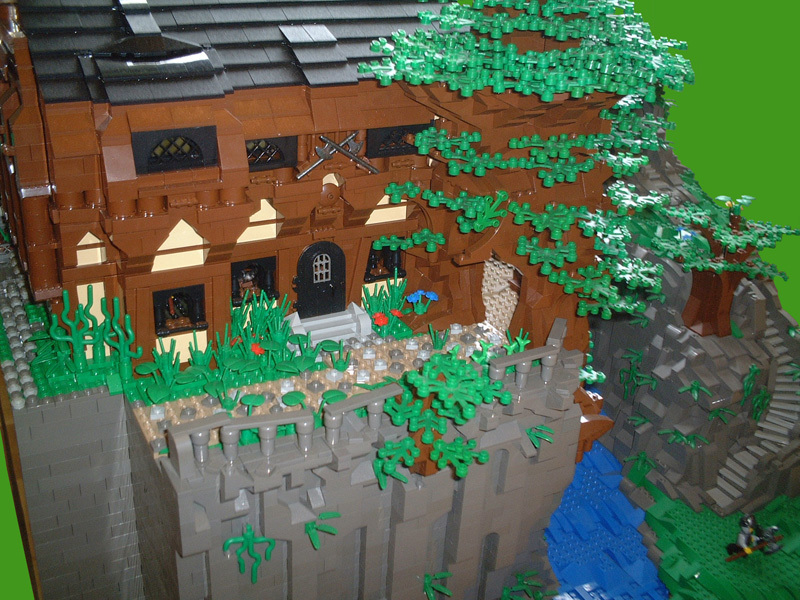 This MOC is very sucessful in capturing the spirit of adventure and mystery. 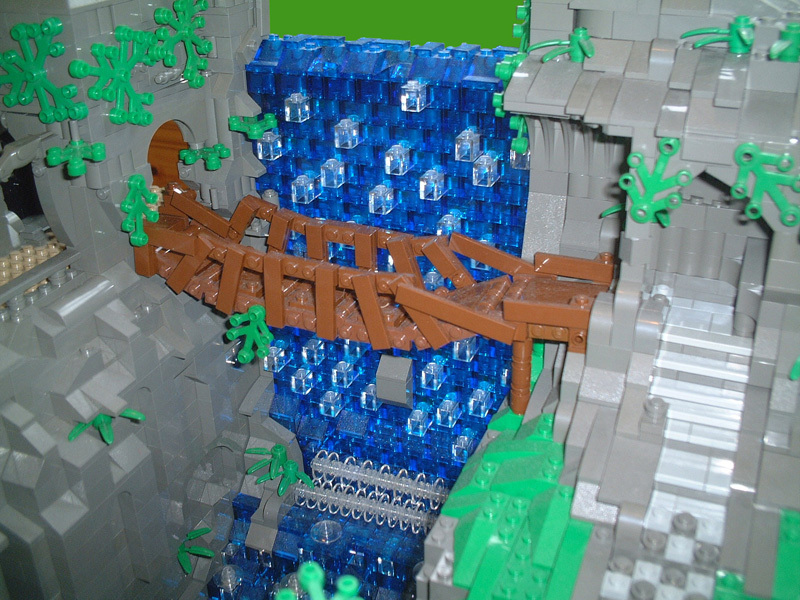 My favorite component is how you have constructed the water to give the impression that it is flowing swiftly and roughly around rocks and along the cliff base. The interior of the cave is also very nice. Very well done! Nathan, this MOC is breath-taking. I didn't reply right away because I could see that I needed time to examine all the pics and I'm glad I waited! What a wealth of detail! This is truly a masterpiece. Definitely the best MOC I have seen in years. In fact, nothing better comes to mind. The landscaping is incredible, the building is fantastic, and the caves defy description. You have really outdone yourself this time, sir! I would love to have this in my house, so I could pour over the details, but you wouldn't want that. It would come back covered in drool. Quick note on the story, as tragic as it is, I was happy to see that the foolish brother found his treasure. I am shocked beyond all words. It almost looks like it's not even lego! How long did this take you? I'ts insanelly awsome, well built.